This guide examines the main differences between a business run by a sole trader or as a partnership and a company, managed by its director/shareholder. This comparison is for a trading business. Many of the points summarised here are not relevant if you want to compare individuals or companies managing investment businesses. A limited liability company is a separate legal entity to its shareholders and directors. In general, unless (and this list is not exhaustive) there is proof of fraud (including tax fraud), evidence of corporate manslaughter, or in a case where a director is a joint tortfeasor (e.g. where the director and the company are held jointly responsible for an act), a company director cannot easily be held personally accountable for the company's actions. A sole trader will be held personally liable in respect of any outstanding debts if the sole trade fails. You may insure yourself against debts, it is advised to read the small print on any insurance policy very carefully. Once you start employing people or expanding your business the benefit of separate legal liability increases. Running a business via a limited company looks more impressive: you simply look like a bigger operation. If you are in business with another individual you can run your business in a partnership via a LLP in order to protect yourself from personal liability. Partners may still remaining jointly liable for certain acts of the LLP and this can result in personal bankruptcy. See Will I pay less tax if I trade via an LLP? 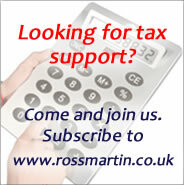 For a tax comparison see Sole trader v. limited company: tax. In the event of any legal dispute you will be sued personally unless you have suitable insurance e.g. products and services liability, professional indemnity, employer's liability etc. in tax, in cases of fraud by the directors and for penalties involving deliberate concealment, and offences by Senior Accounting Officers of large companies. You are self-employed; you cannot be your own employee. From April 2014 the members of a Limited Liability Partnership who are on fixed profit/no risk arrangements may be automatically classed as employees under proposed anti-avoidance provisions. A director is an office holder, this does not automatically make you an employee in terms of employment law, the National Minimum Wage or for Tax Credits. For Income Tax and National Insurance purposes company officers are treated as employees. You pay Class 2 & 4 National Insurance and Income Tax on the taxable profits of your business, or your share of profits, if you are in partnership. Class 2 NI will be abolished from 6 April 2019. Your NIC rates, see NICs rates. The company pays corporation tax on its taxable profits. Company tax rates are lower than higher rates of Income Tax. Employees and office holders are subject to PAYE and NICS on their earnings from employment and many benefits attract income tax too. Shareholders are subject to income tax on Dividends and some types of distribution (e.g. a disqualifying Purchase of own shares or Capital reduction falling into Transactions in Securities territory) made by their companies. These come within the £2,000 tax free dividend allowance. For 2016/17 and 2017/18 this was £5,000. When IR35 and the Managed Service Company provisions apply, the company must deduct PAYE and NICs on its income. You can offset your trading losses against your other income. You may withdraw cash from the business without tax effect. Any income withdrawn from the company. If it is a distribution it is taxed as a dividend. If it is earnings it is under PAYE and subject to NICs. Most employment benefits received by you or your family and household are taxable (subject to tax-free exceptions). Shares or securities in the company which are given to you at less then market value. See Sole trader v. limited company: tax differences & savings. You are free to borrow from the business bank account, it is your account. If your business bank runs at an overdraft due to the amount of funds that you have withdrawn personally, tax relief on bank charges and interest will be proportionately restricted. The company will pay a tax charge of 32.5% if you borrow from the company after 5 April 2016 and do not repay the loan within nine months of the year end. The charge was 25% for loans made before 5 April 2016. If the loan is interest-free there will be a tax charge for the director based on beneficial loan interest. You can only have a Personal Pension. Company schemes may be far more generous in terms of benefits and limits than Personal Pension. A SIP or SAS, or an unapproved scheme may be used to hold assets used in the company and may have flexibility on borrowing multiples. You are required to consider pension arrangements for employees see Pensions Auto-enrolment. If the business fails you will be personally (or jointly with your partners) liable for its debts. You may go bankrupt. If the company fails, your liability is limited to the amount unpaid on your shares (if any) unless you have made a personal guarantee for the company's borrowing (which is often required by banks). As a director you can be held personally accountable if you continue trading when your company is insolvent and this causes financial loss to creditors. This could result in your personal bankruptcy. There is no requirement that you prepare accounts for tax purposes. However you may find that it is difficult to keep on top of your business, collect debts and work out profits without keeping accounts. You have the option of cash accounting or conventional accounting, see Accounting: Simpler Income tax (cash basis) / fixed expenses. If you trade through a limited liability partnership you must prepare accounts for filing with Companies House., conventional partnerships and sole traders have no such filing requirement. You may need annual accounts to complete your personal tax return which includes a balance sheet section. Small businesses may use a very basic (three line) format for a business which trades below the VAT threshold. Your accounts are not submitted to HMRC unless you are subject to an investigation. Your taxable profit under Self Assessment must be prepared in accordance with Generally Accepted Accounting Practices (GAAP) for tax purposes unless you are cash accounting. You must prepare annual accounts under the provisions of the Companies Act, these can be abbreviated for filing with Companies House. HMRC require full accounts for Corporation Tax which must be submitted online in iXBRL. Accounts must be prepared in accordance with accounting standards. When the business or assets used in it are sold, you are personally taxed on any gain under the Capital Gains Tax (CGT) rules. A disposal of an interest in a business or a disposal of business assets may qualify for CGT Entrepreneur's Relief. When the business or the assets used in it are sold, there is a double tax charge on shareholders. The company pays corporation tax on any profit that it makes on disposal. The shareholders are taxed on the distribution of the proceeds. It may often be more efficient to sell the shares in a company, rather than its trade or business, or individual assets. Company shares can be gifted. Providing you own more than 5% of a trading company, a disposal with gains of up to £10 million may qualify for CGT Entrepreneur's Relief. See Capital gains reliefs:disposal of business assets. When you die your business ceases. You can pass all or part of it down to the next generation. In a partnership you can pass on your share of the partnership. Business Property Relief (BPR) will apply for inheritance tax (IHT) purposes if the business is a qualifying trade. When you die the company lives on: it is a separate legal entity. The company’s shares will qualify for Business Property Relief (BPR) for IHT purposes, providing the company is engaged in trade and its activities are not wholly mainly investment activities. There is no IHT relief on outstanding directors’ loans. Assets that are held outside the business qualify for 50% BPR. You can withdraw any amount of profits, but it is not classed as remuneration as you are not an employee. Paying a Salary to a spouse or family members must be commercially justified to be allowable for tax purposes. There is no restriction on the size of your salary, but it is subject to PAYE and NICs. If your contracts fall within the IR35 regime or the company is a managed service company PAYE and NICs will apply to income. See Tax planning for directors. You obtain tax relief for expenses that are incurred Wholly and exclusively for the purposes of the trade. If you can identify a proportion of an expense that relates to business you can claim the same proportion against tax. An adjustment must be made for tax to add back the proportion of any expense that relates to “private use”. Most commonly private use will be in respect of your use of telephone or power, own consumption of goods, and motor running expenses. See What expenses can I claim? (self-employed). The company obtains tax relief for its expenses if they are incurred wholly and exclusively for the purposes of the trade. If a director incurs private expenses through the company, they may be treated as earnings, if he is a shareholder the amounts are treated as distributions. A sole trader or partner can claim capital allowances on a car, disallowing a proportion for private use. See Capital Allowances: vehicles. Low-emission cars can be tax efficient for family members on the payroll. There is no adjustment for fuel benefit for you as a sole trader, you merely disallow a proportion of your fuel costs in relation to private use. See Motor expenses (self-employed). The company obtains full capital allowances on cars, irrespective of any private use by employees. See Capital Allowances: vehicles. Cars may be expensive as benefits in kind but this depends on list price and the CO2 emissions of the vehicle. It may be better to run your own car and the company can reimburse using HMRC’s Authorised Mileage rates. Low-emission cars can be a tax break for family members on the payroll. It is not tax efficient to provide company car drivers with fuel for private use, employers are permitted to reimburse company car drivers for business mileage but they must use special Employer's advisory rates. Mobile phones will be subject to private use so a tax add-back is expected on your tax return. Mobile phones can be provided if the contract is in the company’s name, tax free. See Tax-free benefits and perks. You can obtain capital allowances on a computer. An add back of allowances will apply if there is substantial private use. Providing you need to use one to perform your role your company can provide a computer without any tax consequences. Many different benefits and employment incentives can be provided free of tax (the company will obtain tax relief on the cost of providing these too). You will be able to claim a deduction for mortgage interest, rates and light and heat, if you have an office at home. You can claim £4 per week without receipts for home expenses. Alternatively, the company can reimburse you for light and heat, but not mortgage interest or council tax. A sole trader cannot charge himself rent. A director you may set up a licence between you and your company to rent an office (or other space) in your home or outbuildings. This will enable you to recharge a proportion of mortgage interest and council tax. You will need to declare this as income and prepare rental accounts as for Self Assessment tax purposes. See Directors: what expenses can I claim?